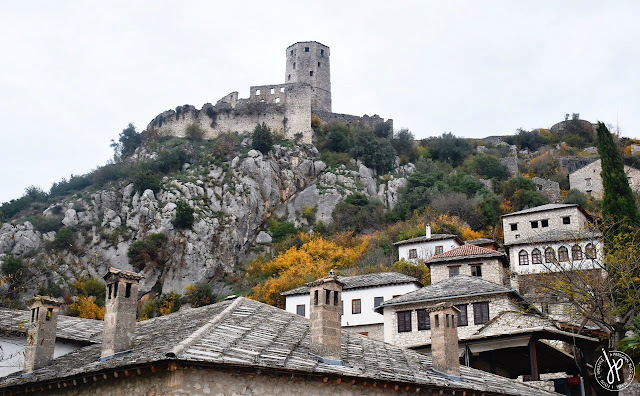 An autumn day in Bosnia and Herzegovina is like being inside the Beast’s castle – fascinating, magical, and a little bit lonely . 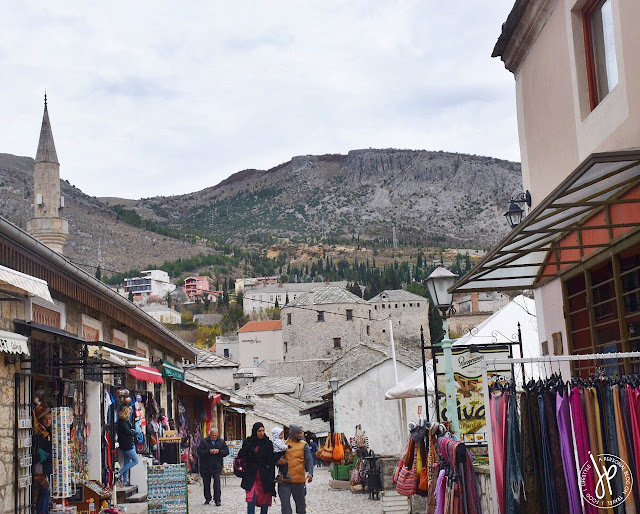 When the majority of tourists leave and continue their lives in their respective countries, Bosnia and Herzegovina moves to its slumber until the next wave of peak season arrives. Having spent three hours on the road from Dubrovnik, crossing the border took some considerable time. Unlike in Montenegro where the stamping of passport was quick and casual, the border guard at B&H personally went inside our minivan to check the faces of individual passengers, despite conversing with our licensed driver and tour guide with all papers presented. It might just be a common protocol, but stamped on the faces of people in our group were worry, confusion, and a bit of tension. 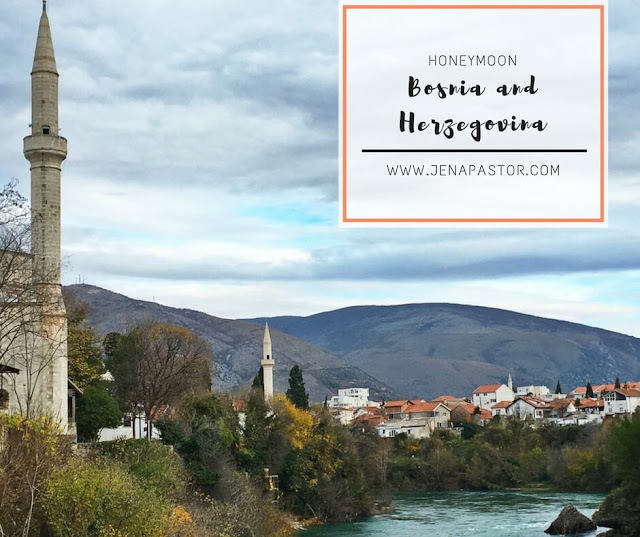 Bosnia and Herzegovina is a Balkan country bordered by Serbia, Croatia, Montenegro, and the Adriatic Sea. It has a long history of being a war-torn country and until now, people are still struggling to survive. Imagine half of the population without a permanent source of livelihood 20 years after the war. And to top it all off, B&H has three presidents – one Bosniak, one Croat, and one Serb – who rotate within a four-year term. 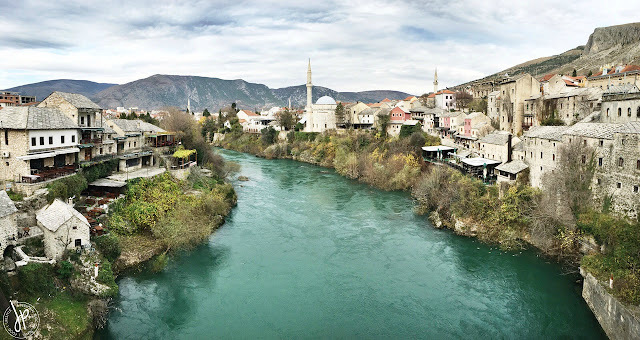 Neretva River in Mostar. View from the Old Bridge. 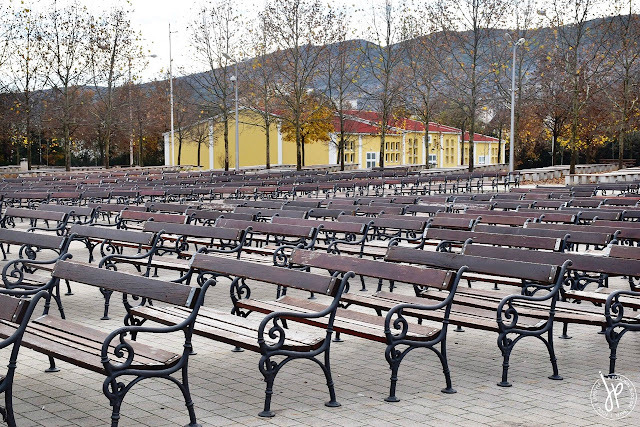 Our journey began in Medjugorje, a town in the Herzegovina region of B&H. Before getting off the minivan, our tour guide reminded us to always watch our belongings. That says a lot about how hard life is. It’s a sad reality that is shared in many parts of the world. 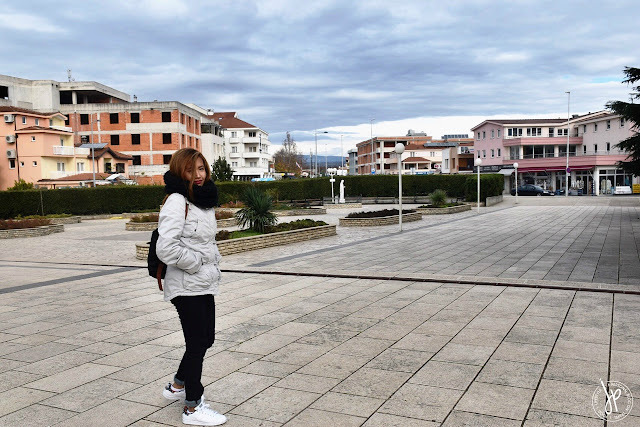 It was freezing in Medjugorje and awfully quiet, and the only sound we could hear was the gush of wind. We sneaked inside Saint James Church for warmth and surprisingly, people were inside the church hearing mass on a Monday. Medjugorje is a popular site for pilgrimage, for the Virgin Mary was believed to have appeared thousands of times since 1981. The view of the cross atop the mountain can be seen from St. James Church. Outside the church were lines and lines of stores selling religious articles and clothing. It reminded me of Quiapo, but definitely 100 times cleaner and less populated. It was very cold and quiet, that we wondered if people actually live there. 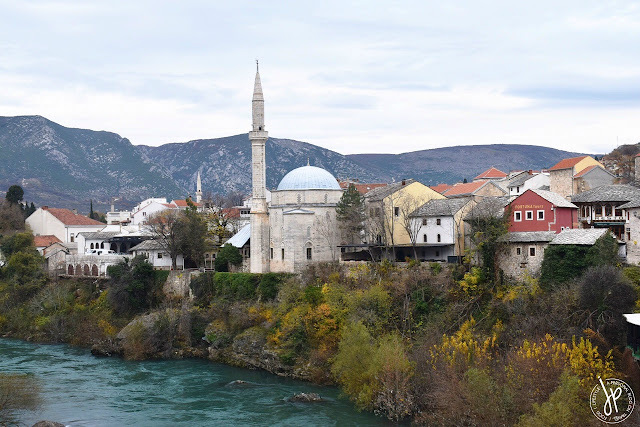 The next stop was Mostar, still in the region of Herzegovina. This is an important city, as it is the region’s cultural center. 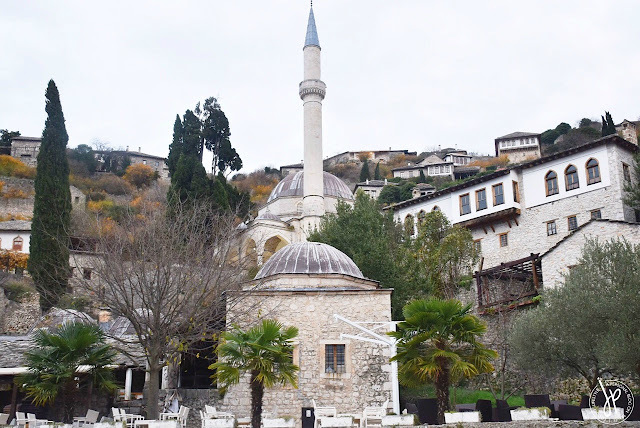 Upon entering the heart of Mostar, I was immediately transported back to Istanbul seeing the Koski Mehmed Pasina Mosque from the Old Bridge. 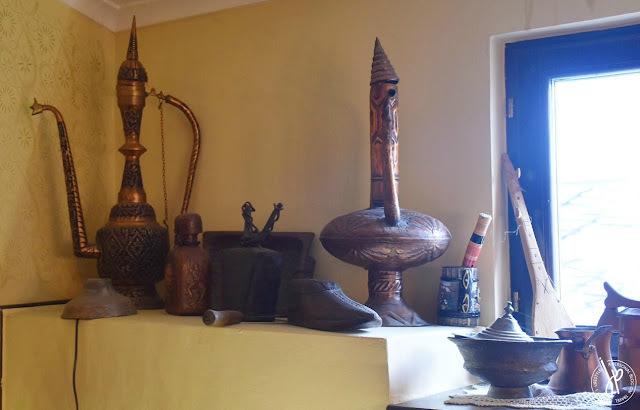 We then went to the tourist center and watched a footage of the 1993 war, depicting the hardships back then and how people are still rebuilding their lives. We couldn’t speak after the video, for we didn’t know what to say or how to react. We could still feel the suffering in the eyes of our local Bosniak tour guide, for he was only a kid when the war happened. It wasn’t what I expected from a tour, but it is what it is. Sometimes you go to an unknown territory, not just because you want to take photos of the place, but because you also need to learn and understand how people live on the other side of the world. The reconstructed Old Bridge which was destroyed in 1993 during the Croat-Bosniak War. 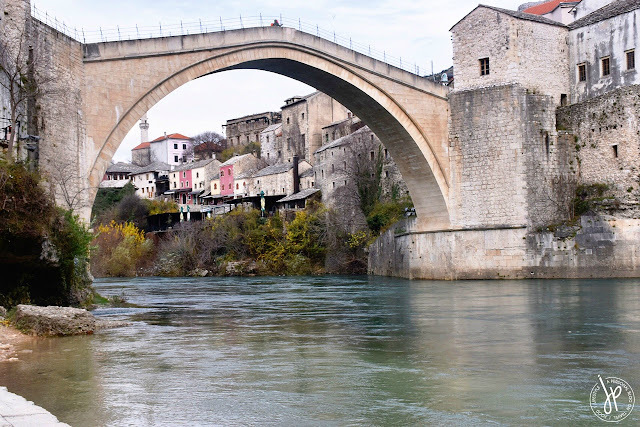 The most popular landmark in Mostar, the Stari Most, which literally means "Old Bridge"
The Ottoman influence in Mostar is still strong until today. 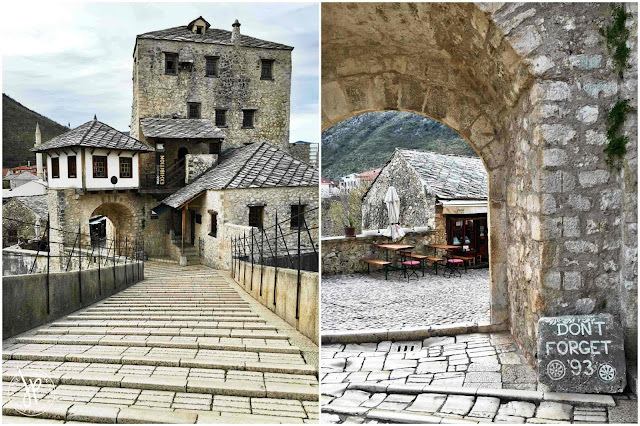 Aside from the mosque, the Ottomans built the most famous landmark in Mostar which is the Stari Most or “Old Bridge”. This bridge connects the two parts of the city and crosses the Neretva river. Every summer, an annual diving competition is being held on this bridge. 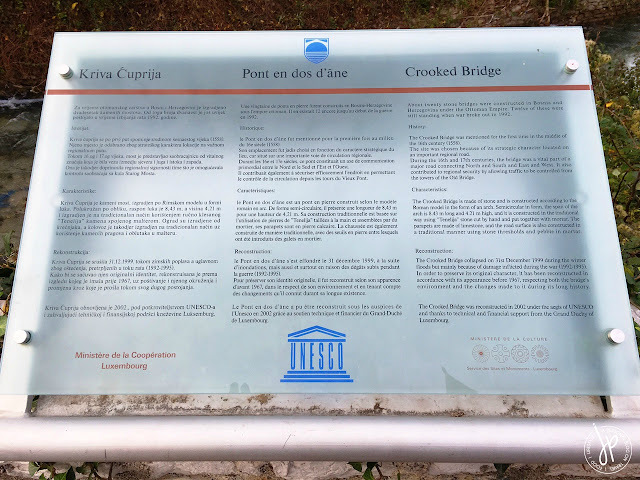 Despite its popularity as an event site every end of July, Bosniaks still remember what happened in 1993 when the bridge was destroyed by the Croats during the Croat-Bosniak War. The bridge was reconstructed in 2004 and became a UNESCO World Heritage Site, a landmark of reconciliation for an ethnically-divided city. As we walked around the old town, many stores still remain open despite the very few tourists (Did I mention it was VERY quiet?). Shop owners were accommodating even if you don’t buy from them and they speak English well. The place reminded me of a Turkish bazaar that sells jewelry, trinkets, houseware, handicrafts, and other souvenir items minus the crowd. I bought my father-in-law a pepper shaker similar to the ones I saw in Istanbul a couple of years ago. As for me, I bought myself a leather crossbody bag from Edo Collection, which I use until now. 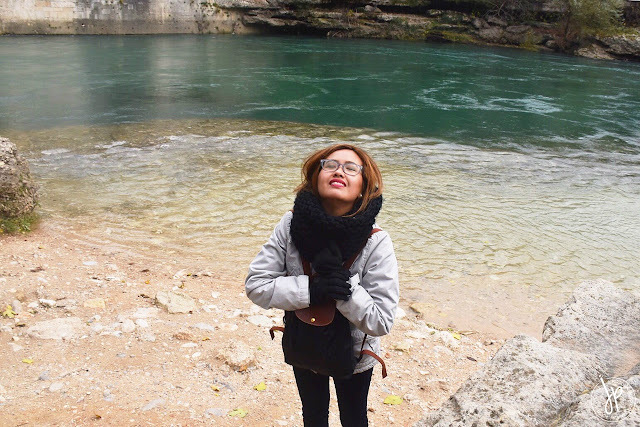 We quietly sauntered along the cobblestone steps and listened to the gushing water of Radobolja river. 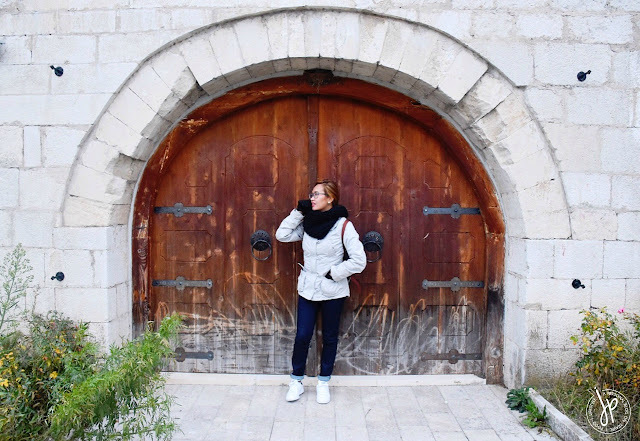 Away from the old bridge are several restaurants and the Crooked Bridge called Kriva Ćuprija Bridge, the oldest single arch stone bridge in Mostar. 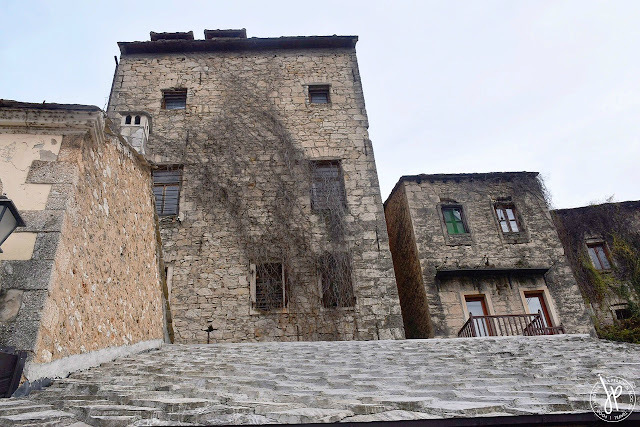 Without the crowd, the medieval town of Mostar looked like it came straight out of a story book, a long forgotten town waiting to be discovered again. 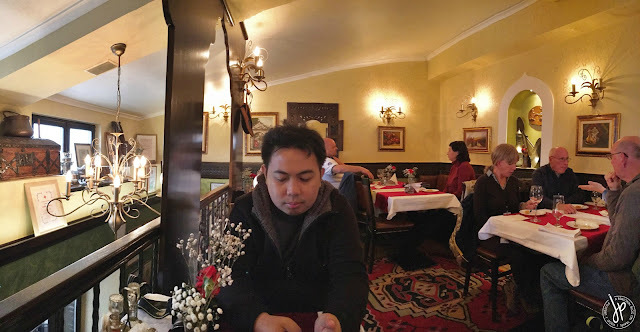 As the weather became extremely chilly and windy, my husband and I went inside Sadrvan Restaurant to have our lunch. My fingers were hurting due to the frosty weather and I could barely lift the menu so we just asked for a popular dish in Bosnia and Herzegovina. 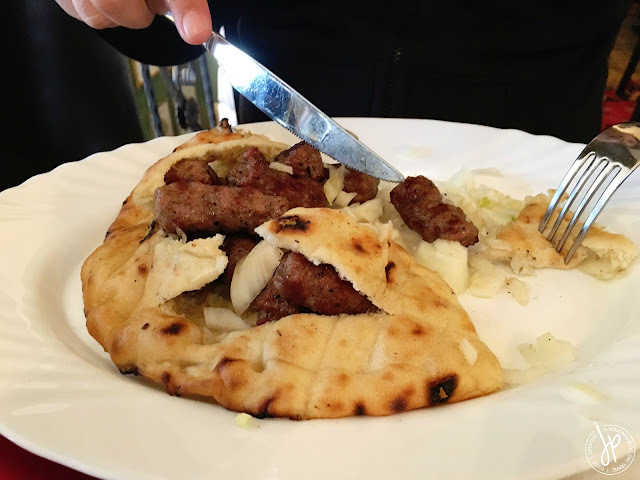 We had Ćevapi which is a grilled skinless sausage placed on a flatbread. It’s considered as a national food of B&H, but this is commonly found in other Balkan countries, too. This is so good, that even those who don’t eat meat on a regular basis will approve of this dish. 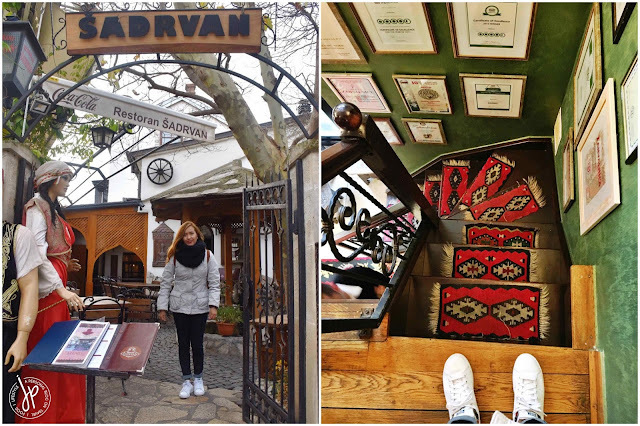 Aside from its good food and charming Turkish decor, another thing we noticed at Sadrvan Restaurant is their warm and friendly staff. I told the waiter how we loved the Ćevapi and his smile and gratitude felt very genuine. Somehow the depressing feeling from the war clip slightly evaporated from having a pleasant meal at this restaurant. 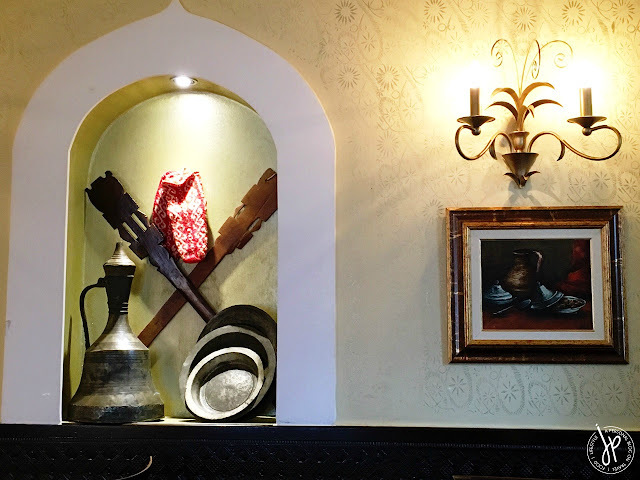 Sadrvan was awarded a certificate of excellence in 2015 by TripAdvisor. 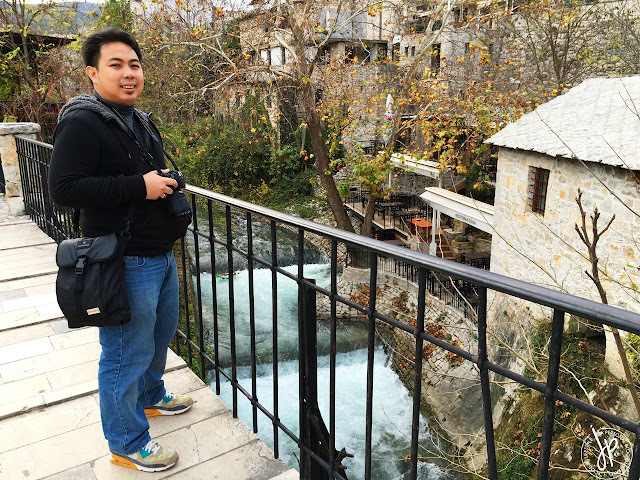 On our final destination, we dropped by the medieval and Ottoman village called Počitelj. There’s nothing much to see here, although its significance is its preserved space through various stages of human settlements. If you have strong legs and high endurance, it’s worth the climb up the Kula fort on top of the hill. 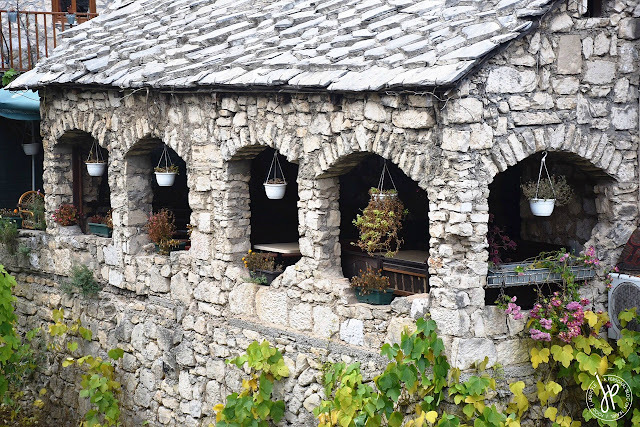 As we drove back to Croatia, I wondered how locals live their quiet lives every single day. I could only think how gloomy it feels when winter starts and Bosnia and Herzegovina won’t have much visitors to discover their homeland. I hope there comes a day when people can finally live safely and comfortably in their own, beautiful country.